Warts are common skin growths caused by a viral infection in the top layer of the skin. The are usually skin-colored and feel rough to the touch, but they can be dark, flat or smooth. They are not cancerous, but if they are in the genital area (condyloma), they can actually spread a form of wart virus that sometimes causes cancer in females. During laser surgery, an intense beam of light is used to burn and destroy the wart tissue. It is a fairly common and quick procedure that can be performed in the office. Although it is usually reserved for the largest and most difficult cases of warts, it is important to keep in mind that laser wart removal does not guarantee results. There are several different methods for removing warts with a laser. 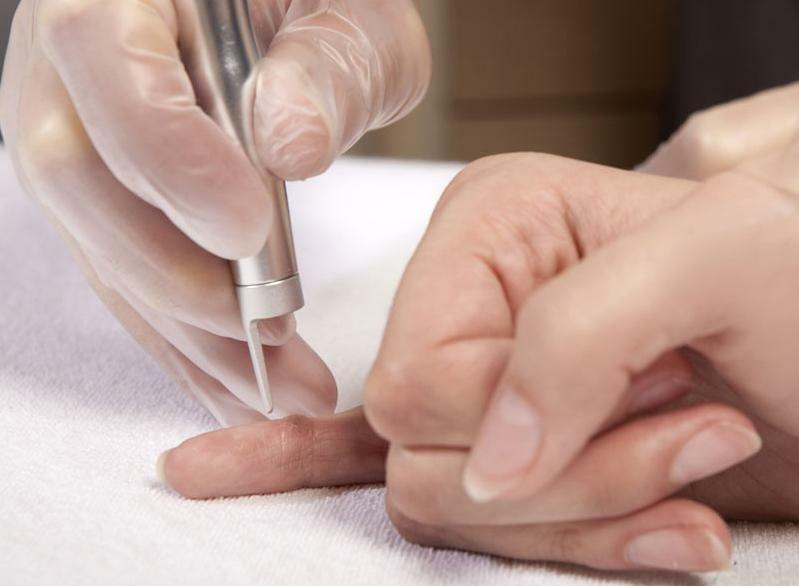 The technique Advanced Dermatology uses is pulsed dye laser (PDL), which cuts out the blood vessel that delivers nutrients to the wart, burning away the virus and simulating an immune-like response. The recovery time after laser wart removal can be long and it is common for the treated area to be painful for several days afterwards. Occasionally, several treatments are required.